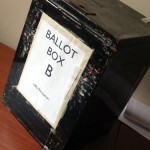 May 5th 2011 is a crucial day for British politics, with the referendum on whether the Alternative Vote should replace First Past The Post for Parliamentary elections. But there are also widespread council elections and those for the Scottish Parliament, National Assembly for Wales and Northern Ireland Assembly. Plus the Leicester South Parliamentary by-election. During the course of May 5th and May 6th we will be posting the reactions of some of our experts from Nottingham’s Centre for British Politics, for the benefit of those looking for informed comment. Journalists wishing for more extended analysis can click on our names for further contact details. Professor Philip Cowley: The key thing to remember about the local elections in England is that the scale of the wins or loses for each party is dependent both on how well they do this year but also how well they did when the same seats were last contested four years ago. The better a party did then, the more seats they have to defend; the worse they did then, the easier it is to make gains. Labour did terribly in 2007, whereas the Conservatives recorded their best performance for 20 years. So Labour should make considerable gains relatively easily, the Conservatives need to brace for loses. The Liberal Democrats too will suffer tonight – no one is expecting a good Lib Dem performance! – but they may be helped somewhat by the fact that 2007 was also a bad year for the party, on some measures the worst for 30 years. The problem is that if they still suffer considerable loses, they will not be able to blame this on a good performance four year ago. Professor Steven Fielding: The pressure is on Ed Miliband to show that Labour has bounced back from the 2010 general election. With Coalition cuts hurting the ‘squeezed middle’ Milband’s party has to come out of the English local elections with at least 40 per cent of the vote. The battle outside England is rather different. In Scotland, Labour faces a hard fight to prevent the SNP from assuming its mantle as the leading party of opposition to the Coalition although in Wales Labour’s position seems more secure. So far as the AV referendum is concerned, Miliband comes out the winner whatever the result. For he has built bridges with leading LibDems by supporting AV, meaning that win or lose his long term aim of recreating the ‘progressive alliance’ remains on track. Dr Matthew Goodwin: While immigration and economic uncertainty remain high on the list of salient public concerns, in recent months the British National Party has descended into infighting and is struggling to retain the interest of its activists and would-be voters. Some influential loyalists have already begun to defect to rival minor parties, such as English Democrats, while others are coalescing around a future leadership challenger. The BNP is also being outflanked by UKIP, a party with more resources and momentum following its second place finish in the Barnsley by-election. In previous areas of strength, the BNP is struggling to mobilize significant numbers of candidates while voters remain largely unconvinced by its attempt to ‘modernize’. Unless Nick Griffin can point to some success after these elections (particularly in Wales where the party is campaigning for the first time), he will be left with a growing grassroots rebellion. UKIP on the other hand can look forward to the results with some optimism. For more on the BNP see my New British Fascism (published May 5th). The BNP: is the party over? Great analysis, one question though. Is there any reason for what appears to be a large fall in the number of Councillors from outside the bigger parties? According to the run down on the Beeb website (http://www.bbc.co.uk/news/special/election2011/council/html/england.stm) the parties below UKIP all made significant losses (bar a one seat gain by the English Democrats). Others, which I assume is largely independent candidates, lost almost 1 in 6 Councillors.